Phil Homan, human resources manager at Schaeffler Group USA Inc. The Schaeffler Group USA Inc. has been quietly thriving in South Carolina for over half a century. While other companies were experiencing the negative impacts of changing times, fluctuations in the market, or downturns in the economy, Schaeffler just seemed to keep growing… and growing. The German, family-owned company began its U.S. manufacturing operations in the small town of Cheraw in 1964. Originally known as INA Bearing (as it’s still called by many in Cheraw), the company’s first product was needle-roller bearings for desk drawers. Over the years, Schaeffler expanded and diversified, moving into automotive, industrial and aerospace sectors. Today, South Carolina is home to the German company’s corporate headquarters in the Americas, as well as five manufacturing facilities. Schaeffler supplies bearings, engine components and other precision parts to over 70 percent of all automotive companies and 30 percent of aerospace. Phil Homan, human resources manager at Schaeffler Group USA Inc., talks about the company’s remarkable growth and how its sustained progress has been facilitated by readySC™, Apprenticeship Carolina™ and the SC Technical College System. EDGE: Tell us about Schaeffler and its history here in South Carolina. 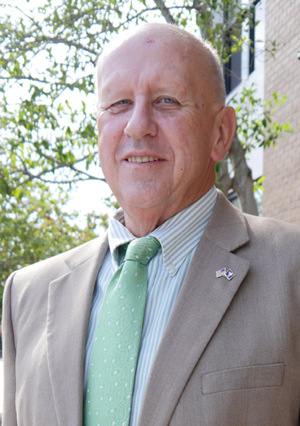 Phil Homan: Schaeffler was actually INA Bearing when it initially came to South Carolina in 1964 from Germany. It was a joint venture with another bearing company, and it was the first time the company had incorporated with another organization. Then, in 1969 we bought the whole process out, and that became our corporate headquarters here in the Americas. It started out with approximately 150 people, and today we employ almost 6,000 people all over South Carolina. EDGE: Do you have any plans for future growth? PH: We grow every year. It’s probably the best-kept secret around. The largest recent expansion that we did was three years ago, which was called the MultiAir and UniAir expansion. It was a joint venture with Fiat designed to build a fuel management system for its automobiles. When Chrysler bought Fiat out, we then partnered with Chrysler. That partnership represented a $70 million investment and added 425 new jobs over a two-year period. EDGE: How has readySC’s training and recruitment program helped Schaeffler’s growth? PH: We’ve used readySC periodically throughout the years with pre-employment training classes. They were our partner during the MultiAir and UniAir expansion and conducted all the training for us. Most classes consisted of about 30 to 40 people a session. For one whole year, we ran four-week sessions one after the other, essentially adding more groups every four weeks. We tailored the readySC training to our processes, which included our mechanical drawings, work orders, shop orders, products and the required soft-skills. We also worked closely with Northeastern Technical College (NETC) and their machining center. Students were asked to do simple machining work, so we could identify those with the potential to be good machinists, those that were best suited as good inspectors, and those that could do other necessary jobs. We tied it all together as a whole package. I think over the years we’ve probably done 15 to 20 projects with readySC on different-sized scales. We’re in the process of doing another expansion project at the first of the year. In our current plant, we’re putting in a brand-new product line that will come in from Germany. We’ll pick it up, move it here, and that will add 150 to 160 new jobs. That expansion is expected to be about a $40 million project. EDGE: How happy have you been with the long-term results of the readySC classes? PH: The retention has been great, and turnover has been very minimal, which is good. readySC worked closely with their partners like SC Department of Employment and Workforce to advertise the positions, receive applications, pre-screen applicants, set up interviews for us and handle other logistics around recruiting. Schaeffler conducted the final screening with the applicants to identify candidates for the readySC training. It was a team effort. At the end of the pre-employment training session, I would give a presentation about the company. Some of Schaeffler’s instructors also helped readySC with the classes. in most cases, they knew exactly what job they would be doing by the conclusion of the training. As part of the training experience, we brought them into the plant and gave them a comprehensive tour – even pointing out specific equipment and indicating, “this is the machine you are going to operate — do you feel comfortable doing that?” If they said no, we’d say, “OK, we understand.” We didn’t want to bring people in that didn’t feel comfortable with the job. EDGE: Is there anything specific that you’d like to highlight about the readySC training program, for instance, a trainee who has grown over the years to be highly successful at Schaeffler? PH: We did identify four people in the last readySC training classes that really stood out. During the year following their training, they could take on more leadership in their roles because of the initiative they showed. They took charge making certain things were being done. They helped other students who were experiencing issues, and later they helped other employees who were having a problem. Going through the readySC training program helped us to quickly identify these people, and now they’re moving into team leader roles. EDGE: If you could choose a word or a phrase that best describes readySC, what would that word or phrase be? PH: Flexible. Responsive. Helpful. Committed. Those would be the ones I would choose. EDGE: Let’s move on to apprenticeship. Schaeffler has the distinction of being the first company to start a registered apprenticeship of its kind in South Carolina. We went through four different iterations before we finally got it all ironed out. We worked directly with the U.S. Department of Labor (USDOL) to get it registered. They helped, and the technical college helped us get it going. Our first group started out with seven people. We now put in about 20 apprentices per year, and these are skilled machinists. The programs are for tool and die makers and very high-skilled setup people. This year we apprenticed a third occupation, which is electrical-mechanical and programming. As a result of this addition, we put a total of 42 apprentices into the fall semester this year. EDGE: Do you see this as a way to deal with your aging workforce? PH: This is the pipeline that backfills into those positions— that’s how we look at it. Some companies look to apprenticeship programs for immediate results. We have a longer-term approach. I’m looking at this ten-years down the road. Everything that Schaeffler does starts with a ten-year to twenty-year plan, whether it’s how we’re going to manage a new product or how we are going to form a workforce. Apprenticeship is an investment in our future, and it’s an investment in the community. EDGE: What do you think is the top positive outcome of an apprenticeship program? PH: The top positive outcome for Schaeffler is that we’ve got a highly-skilled, trained workforce. They totally understand the systems that we have in place, and they also represent our future leadership. We’ve had numerous people travel to Germany anywhere from one year to two years for additional training, and when they return, they become the next technical leader. We have someone right now, who started out as an apprentice, went from there to be a toolmaker, and then said, “I want to learn more. I want to do more.” So we moved him into a supervisory role, and he wanted to do even more. As a result, we offset his costs to go to college and earn a business degree. We’ve now moved him into what we call a segment leader, where he manages a business unit that represents $80 million per year. This is clear evidence that apprenticeship can offer a definite path forward in your career. EDGE: What has it been like starting a new apprenticeship program today versus your experience in 1988? PH: Apprenticeship Carolina has been very helpful. When we got ready to run the new apprenticeship program in electrical-mechanical and programming, an apprenticeship consultant came out and met with us and the local technical college. They helped provide some input on curriculum that we weren’t really sure about because it was a new program. They pulled all of that together, and handled the logistics around getting the program registered. We didn’t have to go through the long, lengthy process that we did when we started out back in 1988. Having Apprenticeship Carolina help us through the process was very beneficial. Now Apprenticeship Carolina visits us on at least a quarterly basis and asks if there is anything more they can do to help us, or if there’s anything new we need. They’re flexible. They’re responsive, and they’re committed to what they do. EDGE: What are some of the financial incentives that have helped your apprenticeship program over the years? PH: We’ve received a tax credit ($1000 per apprentice), and now we’re tapping into the additional funding that’s available through the SC Apprenticeship Initiative Grant. 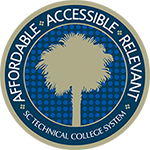 In addition, SC lottery tuition assistance helps to offset some of the costs. Of course, it’s always nice when we get things paid for, but we don’t look at it from the standpoint of what we could get back financially, at least not in the short term. When I talk to other companies about apprenticeship, the first thing I tell them is, “This is an investment in your future.” I spend approximately $100,000 per semester with wages, benefits, tuition and other costs. However, we see this as a long-term investment in our company’s future success. We’ve found that we have a loyal workforce that stays with us. Our workforce knows they can either move up through the supervision and management roles, or they can become that really high-skilled technical leader. They then can pass that information back down to other operators and other people. That’s the real payoff for us. EDGE: It’s the gift that keeps on giving. EDGE: You’ve mentioned working with your local technical college. Could you tell us a bit more about how NETC helps with the apprenticeship program? PH: NETC provides all the instructors for our programs. We’ve also worked with them to revamp their machine technology program so that it is geared toward our apprenticeship program. The college has been very responsive when we want to make changes to the curriculum. We took some things out that don’t really apply anymore to industry today and added other items. For instance, we removed the old sketching and added more CAD. NETC didn’t have a Pro-E (engineering design) program, so they bought it and put it into place for us. They’ve also been very flexible on scheduling with us. EDGE: You’ve said that you often talk to other companies about their workforce needs. What do you say to a company that has a workforce need and doesn’t know where to start? PH: I first encourage them to determine their need: is it a new product that you’re going to undertake, do you want to enhance your workforce, or are you looking at an aging workforce and want to bring that skill level to where it needs to be? Then we discuss the different options available. For instance, readySC is on hand for new projects and expansions. They can assist with recruiting and training. The training expense that you save there can be used for training incumbent workers who need to upgrade their skills. As far as the apprenticeship program, I tell them it’s a commitment, and you have to understand that. However, it’s a commitment with a great return on investment. 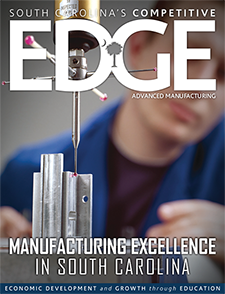 EDGE: What do you tell companies about the technical college? PH: I tell them the tech college is the way to go. We’re using it as an arm of our training group. They work with us closely. In fact, NETC is starting a metrology class that we need for our quality people. We’ve done conversational German, conversational Spanish, and they provided our CNC training. They’ve been very responsive to us as an industry. They provide instructors, continuing education programs and space. As we’ve experienced these recent increases in staff, we’ve lost training space and training rooms, so they’ve been quick to provide us with training rooms that we needed. They are wonderful partners – extremely responsive and very helpful. EDGE: What do you see as the greatest benefit of using all three resources – readySC, Apprenticeship Carolina and the technical college – to meet your company’s training needs? PH: I think of it as a three-legged stool, and it’s very important that it all works together. First, you’ve got readySC, which through its recruiting and training services provides you with your initial pool of people for a startup or expansion. They work very closely with the technical college to get the classrooms, materials, training and other things that you need. Then you can seamlessly segue to the apprenticeship program and the local tech college to address long-term training needs. 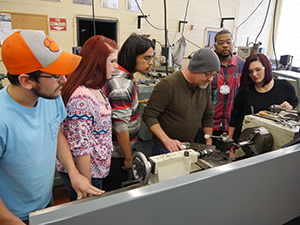 EDGE: Is there anything else you’d like to add about readySC, Apprenticeship Carolina or the technical colleges? PH: I think companies really need to take a hard look at these resources. If they’re looking to locate to this state, they need to talk to the right people and understand what’s available for them. They need to talk to companies that have had interaction with all three programs and hear their experiences. I think that’s the real selling point. Just like if you are looking to buy a certain brand of car, firsthand testimonials are the best. All the companies who use or have used these programs need to encourage others to come here to South Carolina, because our state has the recruiting and training expertise to help you get good people to work for you. The Schaeffler Group’s Apprenticeship Program in Cheraw is the oldest U.S. Department of Labor (USDOL) certified journeyman program of its type in South Carolina. Begun in 1988 as the result of a dual effort between Northeastern Technical College (NETC) and Schaeffler Group, the program focused on tool and die makers. In 1994, the apprenticeship program broadened to include skilled setup machinists. Both programs are designed to combine education and on-the-job training for the apprentice. The two curriculums are each 7,000 hours in length and combine classical European and American apprenticeship training concepts. In 2016, Schaeffler apprenticed a third occupation — electrical-mechanical and programming. Schaeffler hires 15 – 20 apprentices most years, but a total of 42 apprentices were added to the 2016 fall semester as a result of the newly apprenticed occupation. Since the program’s inception, over 300 apprentices have been recruited. Schaeffler has a 90 percent retention rate of apprentices who graduate the program. • INA is a leading supplier of rolling bearings, linear motion, engine components, plain bearings and precision components. • LuK is a key source for automotive clutch, torque converter, hydraulic and transmission systems. • FAG is a major global supplier of bearings with core competencies in ball, taper, cylindrical and spherical bearing products. • The Barden Corporation focuses on high precision, miniature and aerospace products. Schaeffler’s corporate headquarters for the Americas is in Fort Mill, South Carolina, along with five manufacturing plants in Cheraw, Spartanburg and Fort Mill.